Cactus (Paris) No. 33, Suppl., 2 (1952); cf. Gray Herb. Card Cat,. Origin and Habitat: Mexico, Durango and Sinaloa in eight known locations from 31 km west-southwest of Cd. Durango to 214 km west of El Palmito in the State of Sinaloa, a range of about 100 km. 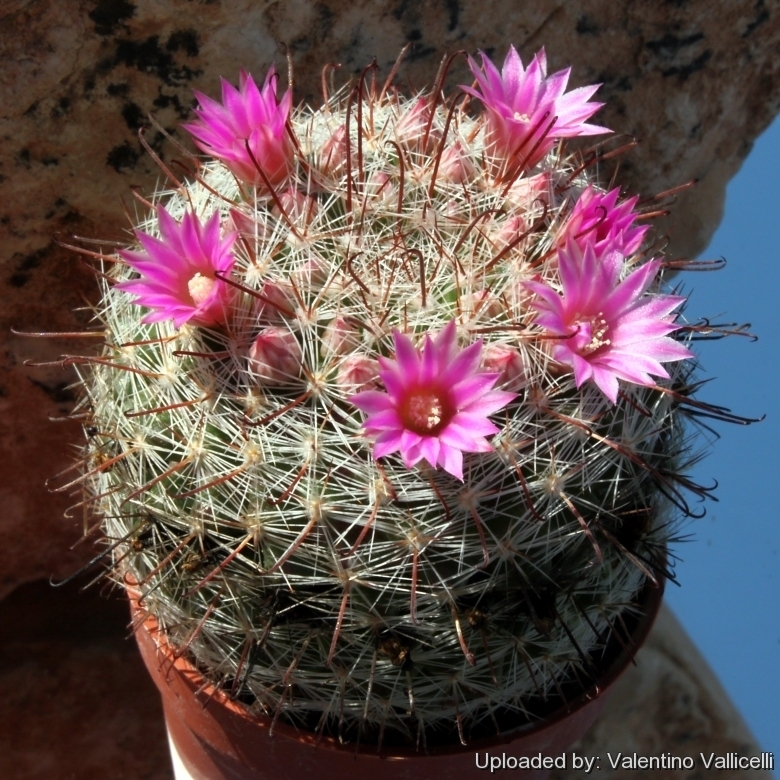 Habitat: It grows on steep volcanic rock in semi-desert. The population is estimated to have been more than 2,000 individuals but now in many part of its areal it is extinct. 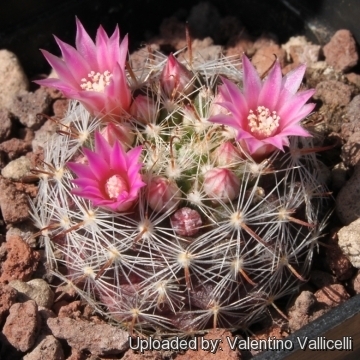 Mammillaria mercadensis var. guillauminiana (Backeb.) Repp. 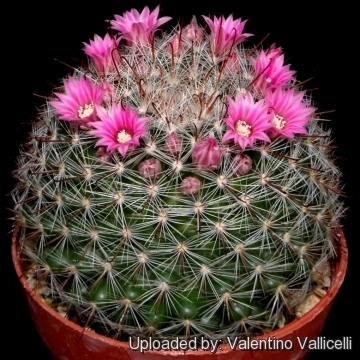 Description: Mammillaria guillauminiana is a singly or branched cactus that cluster freely in cultivation. Stem: Globular, crown depressed or flat, to 5,5 cm tall and wide bright green. Central spines: 4 to 5 about 6-7 mm long, lower spine hooked reddish-brown and darker at the tip. Radial spines: 30 to 32 about 6-7 mm long, bristle-like. Flowers:* Bell shaped, about 1 cm long and wide. Petals whitish-pink with a darker pink strip in the centre. 2) Fitz Maurice, W.A. & Fitz Maurice, B. 2002. 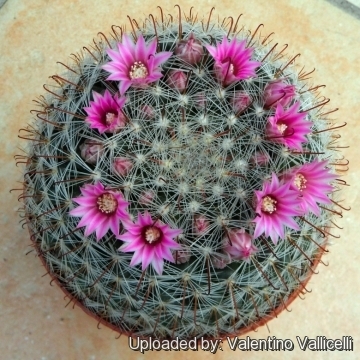 Mammillaria guillauminiana. In: "IUCN 2012. IUCN Red List of Threatened Species." Version 2012.2. <www.iucnredlist.org>. Downloaded on 15 April 2013. 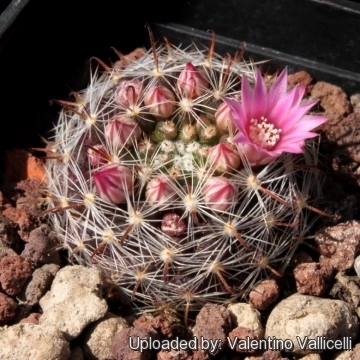 4) John Pilbeam “Mammillaria The Cactus File Handbook” 1999 - page 121. 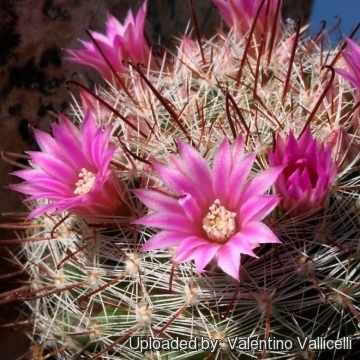 7) Cactus. Organe de l'Association Francaise de Cactus et Plantes Grasses. Nummer 33, Paris 1952, Supplement S. 9–10. 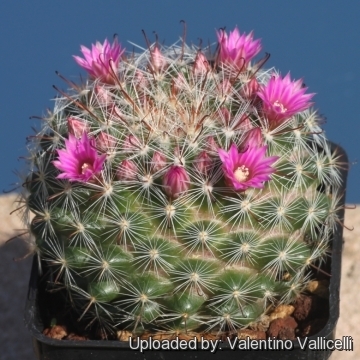 Cultivation and Propagation: Mammillaria guillauminiana is a free-flowering and relatively easy plant to grow. Growth rate: It is a relatively fast-growing plant that offsets freely to form small clusters quickly. Soil: It is tolerant of a wide range of soils and habitats, but prefers a very porous potting mix to increase drainage. An acid or neutral soil is ideal. You can grow a plant in a 10-15 cm pot for years and have perfectly happy plants. For best results, use a shallow pot. Feeding: The plants are fertilized only once during the growing season with a balanced fertilizer diluted to ½ the recommended strength. Repotting: It is better that they be repotted regularly. Repotting will increase the number and size of stems, and will increase the number of flowers produced. 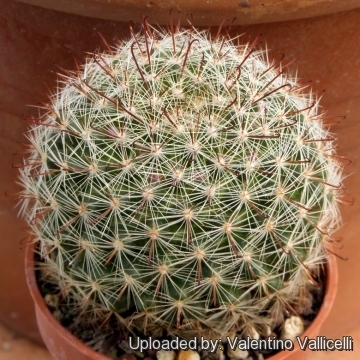 Repot yearly until it reaches about 3 cm in size, then every two or three years will suffice. Repotting is best done at the end of winter, but it can be done at other time, too. Do not water for a couple of weeks after repotting, in order to reduce risk of root rot via broken roots. Exposition: Full sun to light shade. (with some sun exposure the plant produces a good spination and remain compact) During the hot summer months, the soil should be kept moist but not overly wet. Watering: Water regularly during the growing season do not over-water. Wet soil quickly causes root and stem rot, especially during chilly winter months. No water should ever be allowed to stand around the roots. Low ambient humidity is always needed. Hardiness: Hardy down to -4°C if kept dry in winter. 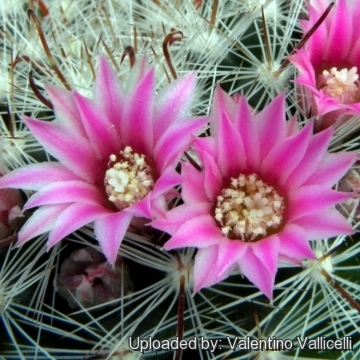 Pest and diseases: Rot is only a minor problem with Mammillaria if the plants are watered and “aired” correctly. If they are not, fungicides won't help all that much. Incorrect watering, poor drainage or too much shade can lead to attack by pests and diseases. Care must be given in watering, keeping them warm and wet while growing, and cooler and dry when dormant. Propagation: Seeds or offsets if available. To propagate by cuttings, remove an offshoot and let it lie for about 2 weeks, giving the wound time to heal. Then lay the cutting on its side with the basal part buried in the soil. This cutting should root within a month or two.